A friend of mine was recently gifted a brand new, pre-seasoned Dutch oven. She contacted me in a panic, shouting over the phone, "WHAT DO I DO WITH IT?" I responded to her in my normal, relaxed way, "USE IT!" Still terrified and panicked, she shouted back, "BUT HOW?" Ok, so this article is for you, my dear friend, and others like you! *Please note: This information is for cast iron pots and pans that are already seasoned (labeled pre-seasoned on the boxes in the store). 1. WASH your new Dutch oven. 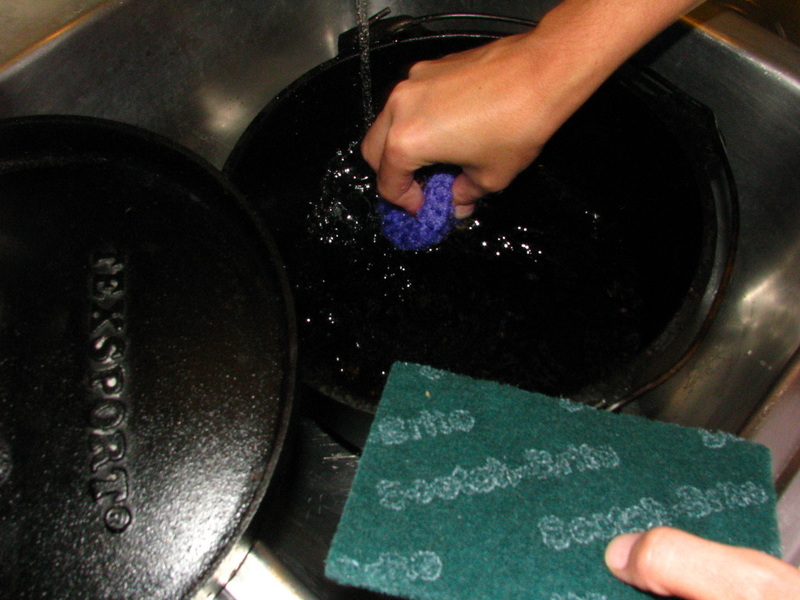 · Use only hot water and a scrubber pad. · Do NOT use soap. · Soap can remove something called seasoning (more on that term in another article) and could leave behind a soapy taste in the iron of the pan. 1. Wash your cast iron with HOT water only. 2. DRY your new Dutch oven. Cast iron is iron and will rust, so always dry your cast iron pans well. 2. Dry thoroughly with a towel. 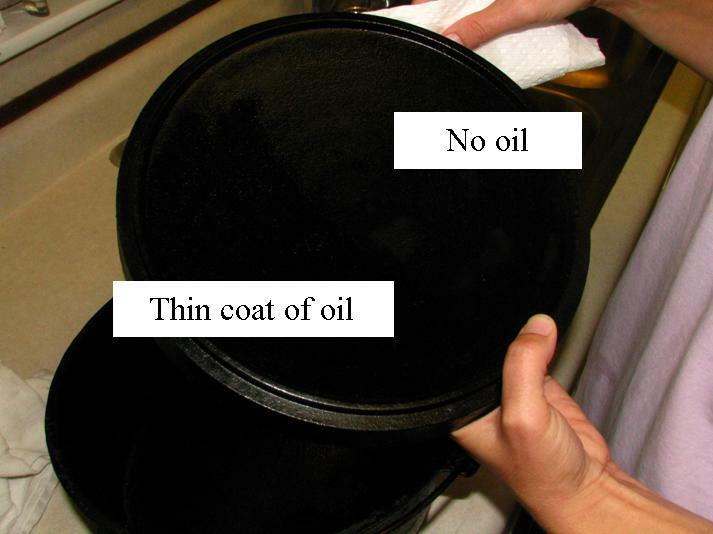 · Put a very thin coat of oil all over your pan. · THIN is key. Make it just look "wet." · Using a heavier coat can leave a sticky residue behind which I find annoying to remove. 4. STORE your new Dutch oven until ready to use. 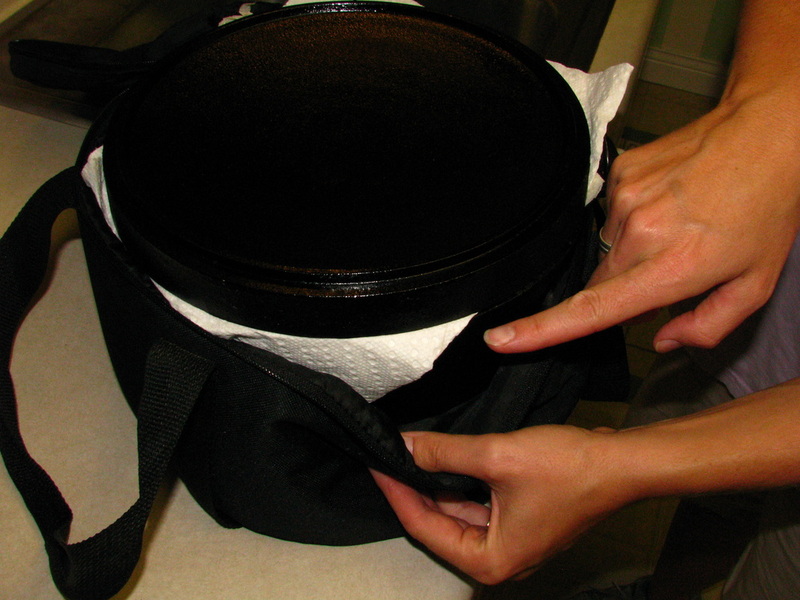 · Place a couple thicknesses of paper towels between the lid and the pan. · This keeps it from banging around while driving AND prevents moisture from being trapped inside the pan. · To get started, make a recipe that you and your family really like at home. · Leave the fancy or new-to-you recipes until after you have used your new "toy" a bit. · A Dutch oven is dual purpose: it can be used for cooking or baking! · Scrape out as much leftover food as you can with a spoon or spatula. · Then use hot water and your scrubby to wash it more thoroughly. 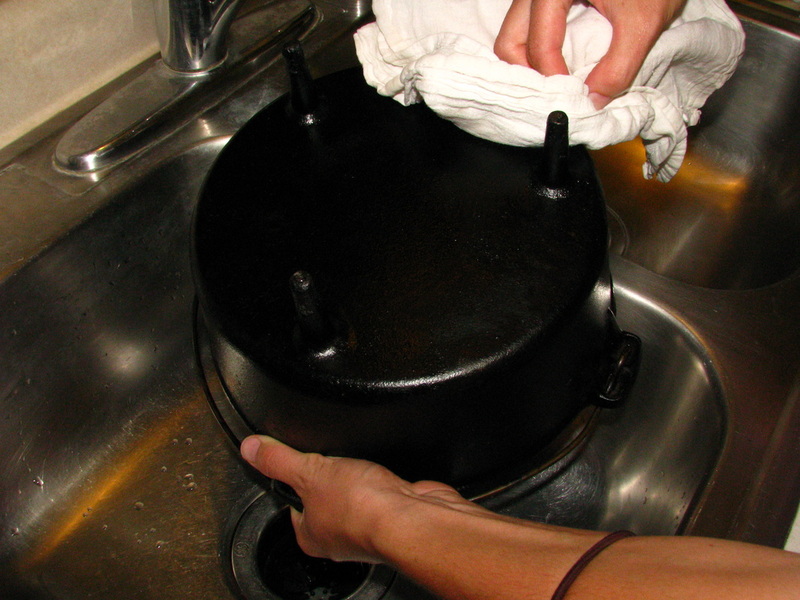 · Wash your pan after your pan has cooled down. · Don't wait to clean your pan until the next morning. · Waiting could cause your seasoning to wear off sooner and rust spots to appear. 7. DRY, OIL, and STORE. · Follow the instructions from above! · Cooking - heat placed UNDER your pan. If you are using it like you would your stove top at home (sautéing, searing, boiling, stir-fry, etc. ), place your coals under your Dutch oven. If you are baking with it, you want most of your heat on the top of your lid, with a few coals on the bottom. · Food cooking or baking too slow: add more coals. · Food cooking or baking too fast: remove some of the coals.